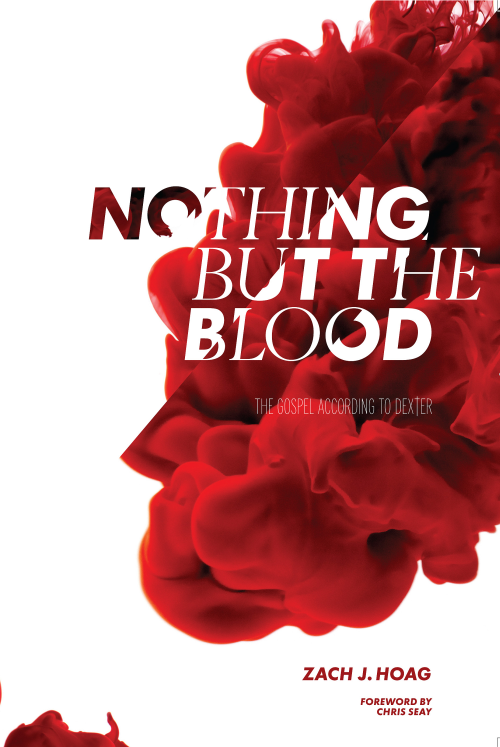 'Nothing but the Blood: The Gospel According to Dexter' is a book by Zach J. Hoag that explores the depth of resonance between the hit Showtime series Dexter, the story of "a killer who kills killers", and the biblical narrative of restoration. Book description: Dexter is fantastic entertainment. Moreover, it s simply great art. All the key elements are in place: a riveting serial plot line, fast-paced storytelling, engaging and humorous dialogue, and dynamic character development. There is actually something deeper going on in this show that keeps people coming back episode after episode, season after season. There is an element in the story of Dexter himself that resonates profoundly with all of our stories. We find a central theme in his fictional life present in the nonfiction of our everyday longings, failures, dreams, and disasters. Dexter Morgan is a broken man. Hollow and deeply stained. Yet, this book aims to explore a possibility beyond this fact: that in the midst of Dexter s brokenness, something is being redeemed. Even though he can t help it, perhaps there is actually a choice that Dexter is making in the midst of his inability and despite his damaged state - a choice that is taking him from where he is toward something better, perhaps even beginning to restore the very thing that makes him truly human. The book with be available on August 31st. Click here and pre-order it now. when the people will accpett it?